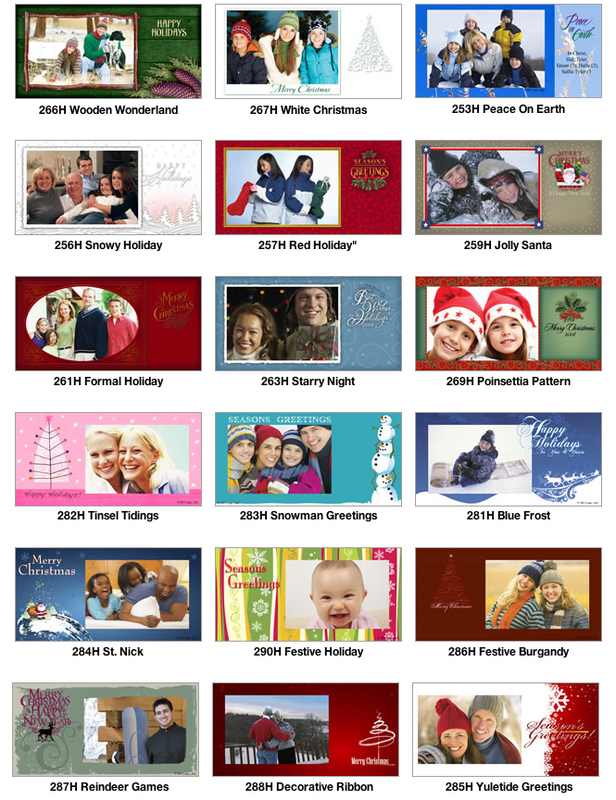 • Images from your portrait session make great holiday cards, with many designs to choose from. 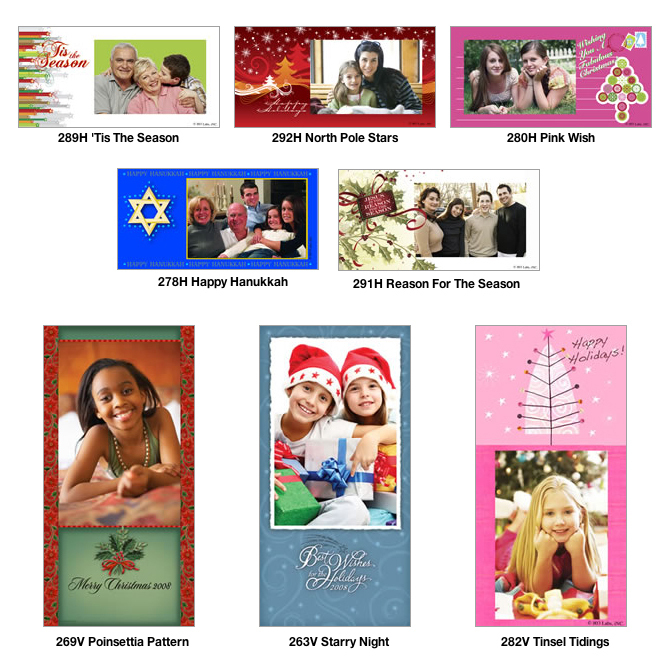 Scroll down to view slimline card options. 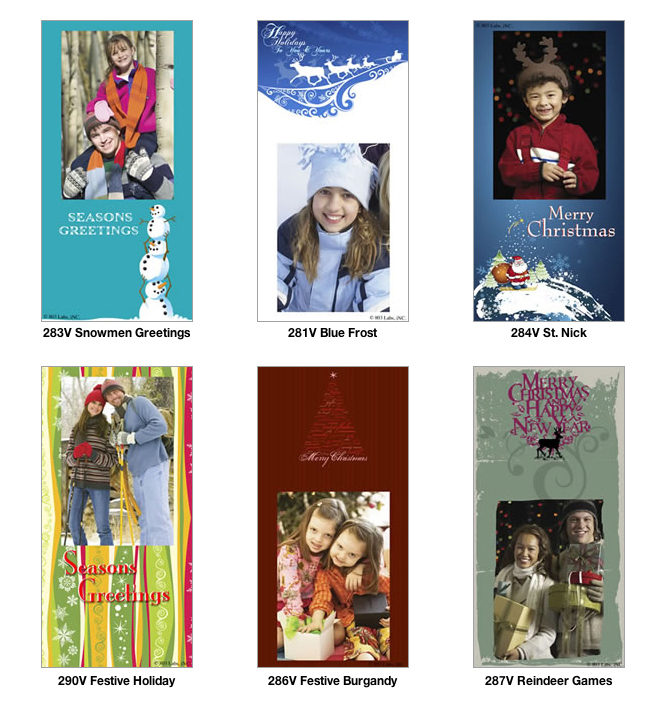 • Glossy finish on the one-sided 4" x 8" slimline cards is standard. Lustre surface is available but MUST be requested at time of placing order. You may personlize the front of this card. 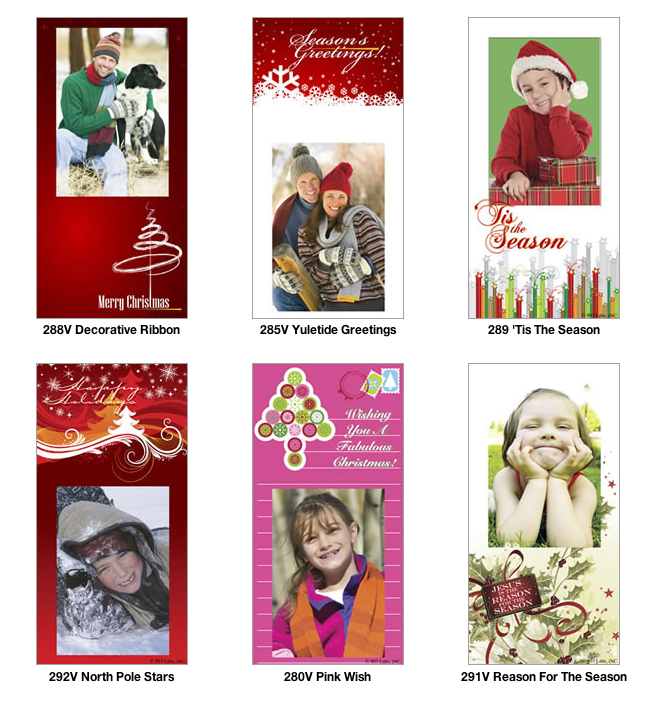 • Standard 4" x 5" folded cards are printed on heavy card stock and feature a photo of your choosing filling the outside front cover of the card. You may personlize the inside of this card. • Envelopes will be provided with your order. • Due to holiday demand, orders can take up to one to two weeks to process. Please allow ample time. • There is a $5 imprinting fee for your signature area. Limit 18 characters per line, up to three lines. Font options are listed below.